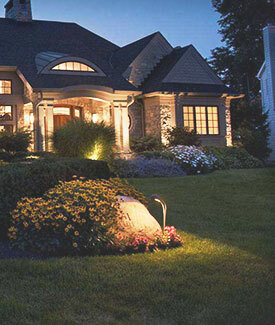 LED landscape lighting is the most efficient outdoor lighting option on the market today. Energy efficiency is all the rage with good reason. Energy-efficient lighting choices lower utility bills, lessen the burden on nonrenewable energy sources and typically don’t need to be replaced as often as conventional lighting. LED stands for “light emitting diode.” Basically LEDs produce a spectrum of colors easily and brightly while using very little electricity. Today, with advanced technology, this energy efficient lighting is available with digital lighting controls capable of zoning, dimming and even color adjustment. Our LED solutions use a fraction of the energy and can last approximately 30 times longer than conventional light bulbs. Because LED lights use much less energy to power than traditional lighting systems, we can help you create a brighter landscape design using more fixtures. Already have landscape lighting. We have a LED retrofit solution that can easily and more affordably covert your existing lighting to LED lighting. 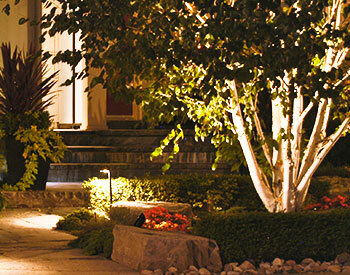 Initial pricing can be biggest drawback when considering LED landscape lighting. Depending upon the size and brand of the bulb, LEDs can cost two to six times the price of traditional light bulbs. When replacing bulbs for multiple lighting fixtures the cost can get expensive. LED production is not only improving but increasing, which will mean greater affordability for consumers in the future. Eventually, because of environmental standards traditional bulbs may no longer be available. 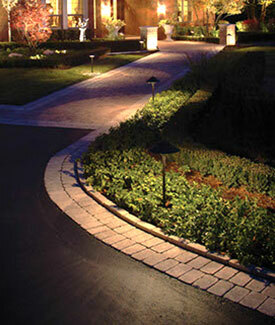 Our long list of satisfied clients confirms we are Southwest Florida’s leading LED landscape lighting company. Fully licensed, bonded, and insured, Coastal Outdoor Lighting design professionals and technicians offer a variety of solutions to meet the demands of Florida’s outdoor environment. Your designer can walk you through our catalog of products to find the perfect lighting solutions for your business or home. To schedule a “FREE” On Site Consultation complete ouronline request form or for the quickest response call us today at (239) 491-6759.